Lapidary Whisperer: YOU DECIDE - BEST IN BLUE, LARIMAR OR QUARTZ? I really like the variety of comparison here. 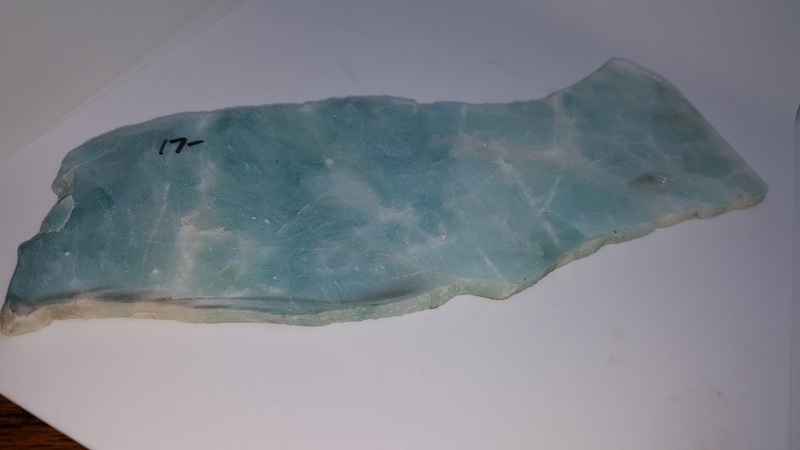 I am particularly fond of the blue quartz, and I can't tell if that's because I like the shape of the quartz cab better in this sample or if it's another reason entirely. Thank you for the analysis of the cost, hardness, and for explaining your terms for those of us watching from the outside--I didn't even know until I learned from you that there was a measurement for the hardness of a stone. Thanks! 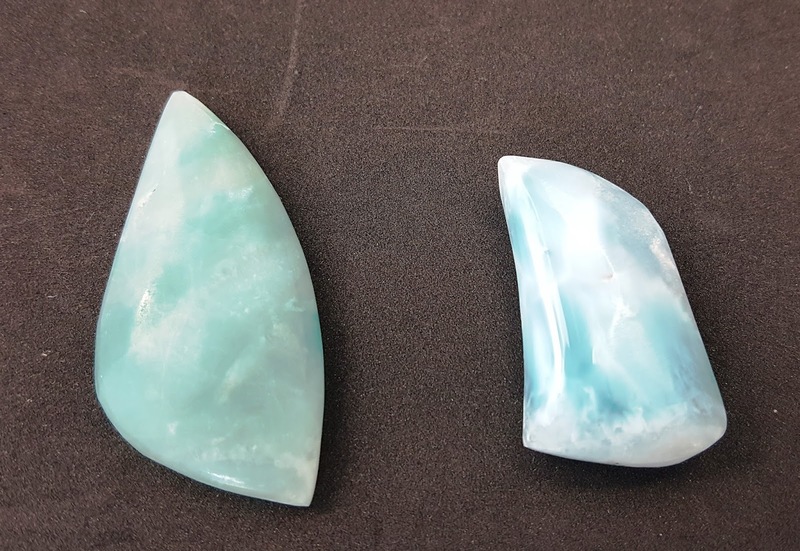 Sometimes an interesting shape adds a lot to a stone that's interest is based on its color instead of a story pattern in it.